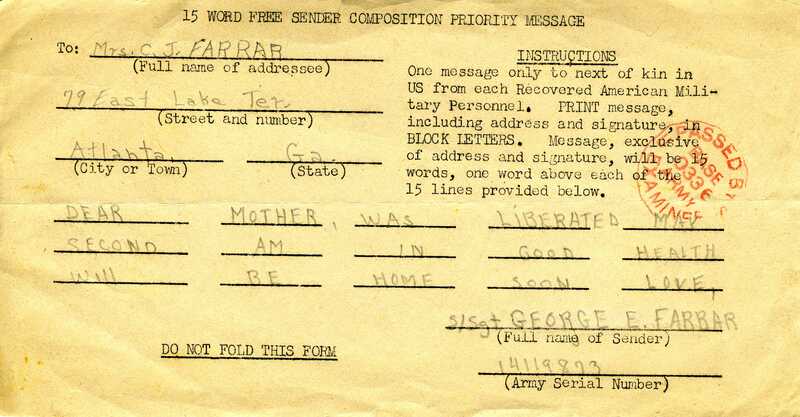 George Edwin Farrar , my dad, was liberated on May 2, 1945. He was sent to Brussels, Belgium and on to a hospital in France where he spent several weeks. He was allowed to pen a short note home to inform his family he had been freed.